Premium Plus Support from KEMP Technologies provides the best support for the lifetime of your system and beyond, with available hardware refresh at the end of a three year contract when renewing for a further three years. The service includes software updates and automated security alerts, to ensure supported LoadMaster products are always performing at their best and protected from security threats. Round the clock priority phone support ensures rapid problem resolution and provides access to a dedicated expert with broad network and application skills who can assist with scripting, configuration and troubleshooting of complex environments. 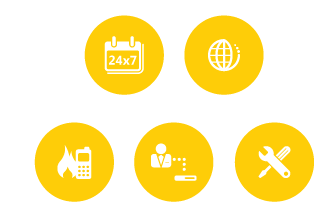 In the event of system failure, onsite replacement by an engineer in a 4 hour time window is a feature of this level of service, ensuring minimal interruption to the business. In addition to access to KEMP’s knowledge base and extensive array of installation templates, customers benefit from expert assistance through KEMP’s Professional Services, which helps bring systems on stream and adapt to changes as rapidly as possible. The KEMP Professional Services team provide expertise and insight to ensure the rapid and issue-free deployment of application delivery resources. A free VLM-200 Virtual Loadmaster is included as a vehicle for training and proof of concept during design and development phases.